Last night I caught the second showing of Reel Rock, the closest thing the climbing world has to a blockbuster release, or at least it was until Meru and Everest came out making this fall one of the busiest for climbing video in quite some time. I doubt I will ever see Meru or Everest so this will have to do. Reel Rock is kind of a big deal here in Boulder, since it acts as a showcase not only for Big Up and Sender Films ( they are the only outfits whose work is shown at Reel Rock) but also for local and national climbing and outdoor brands, whose tables and tents I wandered by in the "vendor village" after picking up my ticket. So it's a thing for sure, especially for the increasing number of young adventurepreneurs who seem to be flocking to Boulder to feed off the outdoor media buzz the town generates. Readers of this blog know that I have a jaundiced view about outdoor media buzz as it is, that my view is that the distance between reality and image seems only to be widening as the public's access to climbing via HD video is increased. I wasn't impressed by last year's "Valley Uprising" and wasn't planning on going to this year's Reel Rock until I was offered a ticket by a generous third-party donor. So why not? At least I would get to check out the latest style in plaid short-sleeve shirts. After the usual sponsor shout-outs faded away in the dark cavernous interior of the Chautauqa Auditorium, the films opened with "A Line Across the Sky" which chronicled the voyage of Tommy Caldwell and Alex Honnold across the Fitzroy massif's ridgeline. This climb was a big deal and the trailer on Youtube gives a good sense of the full movie, in fact to be honest, it's not a bad substitute for it since the vast majority of the footage is that taken by Honnold and Caldwell presumably from a Go Pro. Comedic moments from the climb dominated the full-length feature giving a bro-ey vibe to the film even as Tommy tried to explain the conflicts between high-level, potentially fatal, alpinism and the desire to be there for his family after it was all over. The fact that really nothing went wrong, the weather held and that the climbers were certainly more than equal to the task meant that any real sense of conflict, suspense or uncertainty was pretty much absent. Just a couple of guys up in the mountains having a good time. Next up was a tribute to the recently killed Dean Potter. Again nothing that reached deeper into this man's life, just "sick" footage that most in the audience would have seen elsewhere of the usual highline, BASE jumping, soloing stuff. And then the lights came up for an intermission. The next film "High and Mighty" was ostensibly about bouldering but what it was really about, apparently, was that bouldering is all about "manning up" and falling from way up there. Daniel Woods felt a bit like a sacrificial victim here, set up in the film as a lowball hero who finally learns the "real" way to climb from Jimmy Webb, especially after Jimmy repeats the Nalle Hukkataival V15 monster in South Africa called Livin' Large while Daniel is shown flailing on TR on the same problem. The only problem with this plotline is that it is total BS. Daniel has plenty of gnarly highballs to his credit including Lucid Dreaming and Evolution in Bishop and Shining Path in Red Rocks. Furthermore his ascent of the Process, which is what "High and Mighty" was supposed to document, actually occurred six months before Jimmy repeated Livin' Large." Thanks to the way the film was edited, uninformed viewers would assume that Daniel, who is shown earnestly trying to master his fear of falling from the top of the Process (and no f#*king wonder) via meditating and self-help books was some kind of novice at "real" bouldering, at least as it's described by the double-artificial-hipped and multiple-concussed John Sherman. Really, this segment upset me the most as Daniel is one of the strongest climbers in the world and has established first ascents and demolished numerous testpieces around the world. To fabricate this rivalry between Jimmy and Daniel, who are very good friends, on the basis of who can "man-up" when the occasion demands is nonsense and does a disservice to the sport of bouldering as a whole. 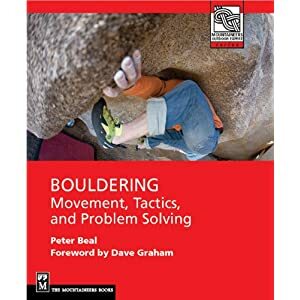 I have discussed this with John Gill on occasion and he has made clear his impatience with the notion that bouldering needs to be dangerous to be considered worthy. Heroics were precisely what he sought to avoid back in the 50s and 60s when his most innovative problems were established. Only a later wave of boulderers sought to create a different approach, often based on the headpointing style common in Great Britain. Gill's answer to these debates? "Use a toprope." Problem is that doesn't create crazy footage or a compelling story for a general audience. Oddly the film omitted the fact that not long after Daniel's ascent, a crucial hold broke off the problem rewriting the story yet again. In terms of actual audience response, by far the most popular was the segment about the 24 Hours of Horseshoe Hell. The rivalry angle was played up again here between, yes him again, Alex Honnold, and the team of Nik Berry and Mason Earle as to who could get the most points/climbing done in 24 hours. Laugh-out loud funny at times, its light-hearted approach to climbing was welcome relief from the earnestness of the previous three segments. The last piece was a short preview of the Dawn Wall ascent from this spring and not a finished film so I'll pass over it in the hopes that it will reach fruition later this year. Overall reactions: No stand-outs, that's for sure. Upside? Lots of laughs at times which was welcome. Some excellent aerial footage in Patagonia and elsewhere. Downside? Kind of a bro-fest. Virtually no women appeared in any of the films. A few comments from Becca Caldwell, some drunken women turning up at the Horseshoe, and other assorted brief appearances but in 2015 for no women to be profiled in-depth seems a shame. Another peculiarity and maybe blame climate change, but there's a lot of night-climbing and headlamp footage and frankly that's something nobody's going to be psyched to see a lot of. In conclusion I would like to see a climbing film collection that was much more widespread in its scope featuring other film-makers and locales. The other issue is the types of stories being told. They ultimately feel relentlessly upbeat, even awkwardly jokey when they shouldn't be, naturally triumphant at the end and in some ways profoundly unreal. Great stuff for a studio's highlight reel or a sponsor's marketing campaign but hardly a believable portrait of what it really takes to get these remarkable climbs done. It would be nice to see truly innovative film-makers emerge to take advantage of the remarkable new technologies out there but so far I haven't seen it. Maybe someday. I've really missed your essays and reviews Peter. So good to see a new post. Planning on writing weekly going forward. "Very Strongest" ? otherwise great review. Ill be waiting until the DVD comes out. I havent seen it, but a friend commented to me that it was a shame that it wasn't the difficulty, but the height (as you say), they focused on for Daniel's landmark problem The Process. Definitely a shame, and I feel like that is pandering towards a general audience, clearly, rather than truly communicating the achievement. Peter - Excellent review (and of Valley Uprising): perceived marketability over objectivity, integrity and art. High and Mighty is not about bouldering, its about highball bouldering. High ball is a subset of bouldering, which this movie takes time to layout as having its own history and underground stars, like Sherman and Keihl. Daniel Woods is not a victim of the filmmakers, he talks eloquently and at length in the film about his struggles with fear, and how challenging this aspect of bouldering is for him. When Daniel did Lucid Dreaming -- which is not a highball -- his friends below were making fun of him as he sketched up the 5.8 slab after crushing the low-to-ground v15 crux moves. There is no competition between Daniel and Jimmy in the movie, they are buddies and supporting each other, speaking admirably of each other throughout. Your critique of this film makes no sense. I'm afraid your not identifying yourself here seriously undermines your points. Everyone I have talked to in the local scene here in Boulder agrees with my read on the film. I think it's very clear that the film was edited to make it look like Daniel had to learn to "man up", especially in response to Jimmy's ascent of Livin Large, which oddly enough happened six months after the Process was finished. Thanks for the outside perspective on the reel rock series. I thought your review of Valley Uprising was especially on point. Still I am pretty excited to see the new one, flaws and all.